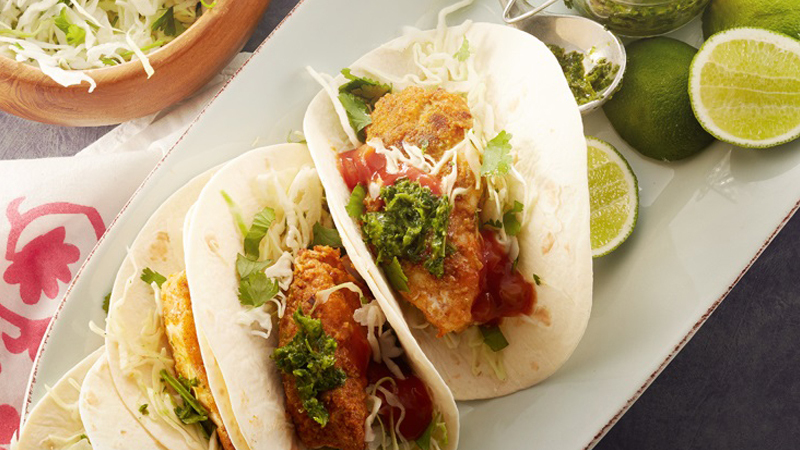 This Old El Paso™ recipe makes 8 Fish Soft Tacos with Fresh Green Chili Sauce. 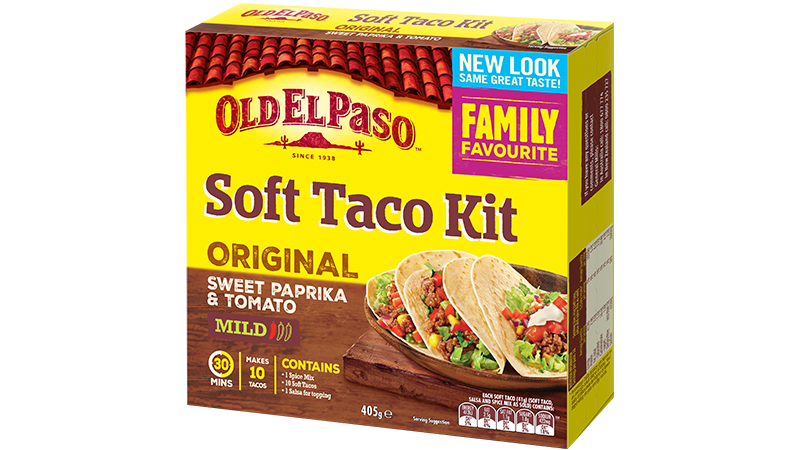 Using our Soft Taco Kit, it takes only 35 minutes to create this authentic Mexican favourite. Serve soft Tortillas with white fish fillets and fresh ingredients like, cabbage and lime and coriander and you’ll have a wonderful Mexican lunch or dinner! Combine Taco Spice Mix, lime rind and flour. Coat fish fillets in Taco seasoned flour. Heat oil in a frying pan. Add fish and cook for 5 minutes, over medium heat turning once. Combine cabbage and coriander, to make a cabbage salad. Green Chili Sauce:Using a food processor or mortar and pestle, process or pound, fresh coriander, green chili, olive oil and lime juice to make a sauce. Build your own Soft Tacos with fish, cabbage salad, green chili sauce and Mild Taco Sauce.